Would you try this beauty trend in 2015? For those who aren't blessed with Cara Delevingne's strong kilay game, there's a brow salon in Illinois that can give your arches hair extensions. Brow Perfect—which started in the United Kingdom—allows clients to have individual hairs glued onto spots where they really need it. Your new brow strands can last around 10 to 14 days, but maintaining them is pretty hard: No hot showers or steamy saunas for at least 24 hours. Oh, and you can't rub or pull your brows, either. Meaning: No more kilay makeup, if you want the hairs to stay put. 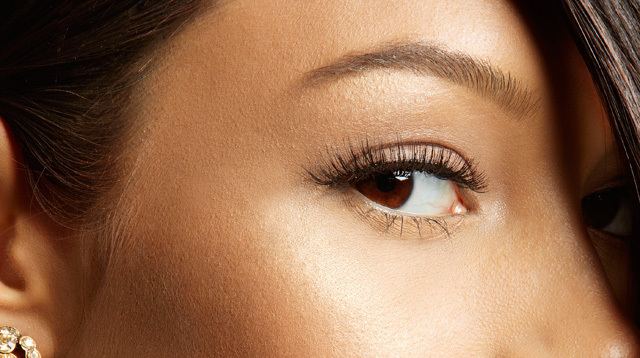 While this isn't available in the Philippines yet, Browhaus does have a similar procedure called Brow Resurrection—a semi-permanent treatment where a technician uses an advanced embroidery technique to fill in sparse spots. Plus, this one lasts from 15 months to two years, which is great if you don't want to keep coming back to the salon for touch-ups. Would you try this brow trend in 2015?